Awhile back, I wrote several blogs about the Seventy Weeks Prophecy. In order for my conclusions to be true there, Jesus’ crucifixion had to have occurred upon a Wednesday. Therefore, it may be profitable at this point to understand the chronology of the events of Christ’s final week of ministry upon this earth. In so doing I hope to show Jesus was not crucified upon Friday, as is traditionally held. The 1260 days mentioned in Daniel 12 (time, times and half a time) will hold up in the study of the prophecy no matter which day is chosen (Friday or Wednesday), because the 1260 days lie between the fixed dates of the Last Great Day of the Feast of Tabernacles (27 AD) and the Passover Day, when Jesus was crucified, three and one half years later (31 AD). Both the 1335 days and the 2300 days (or more properly—evenings and mornings) begin on a fixed date but end on the day of Pentecost which is a variable date depending on the date of the Sunday between the two Sabbath Holy Days of the Passover season. The 1290 days begin on that particular Sunday and end on the Day of Atonement three and one half years later at the execution of Stephen (34 AD). If anyone wishes to see this study, simply click upon the appropriate title on the bar across the top of my blog. In any case, if my study concerning this prophecy is true, the crucifixion must have occurred upon a Wednesday, but do the Scriptures support such an understanding? I believe they do, as I hope to show in this next series of posts to my blog. The study begins six days before the Passover Feast Day or the annual Holy Day, a Sabbath and a day of rest (John 12:1). This is not to be confused with the seventh day Sabbath. The annual Holy Days, with the exception of Pentecost or the Feast of Weeks, could occur on any day of the week. They occurred upon fixed dates of the month like Christmas, and did not occur on the same day of the week each year. Pentecost is like our Easter in that it occurs on Sunday each year, and does not, therefore, occur on a specific date of the month every year. Whenever a great crisis occurs in a person’s life, all interested parties desire to know what led up to the important event in that person’s life. Well, this is also true in the life of Christ. The matter of a Wednesday Crucifixion follows upon our need to know all the circumstances that transpired leading up to that great event. What led up to the crucifixion? What did Jesus say? What did he do? And, where was he when these things took place? God did not leave his people in the dark. He gave us an itinerary of Jesus’ last week before he died. We can know what Jesus said, what he did and where he was on each day of his final week. For example, we know that he had a meal with Lazarus, Mary and Martha six days before the Passover Feast day (John 12:1-2). 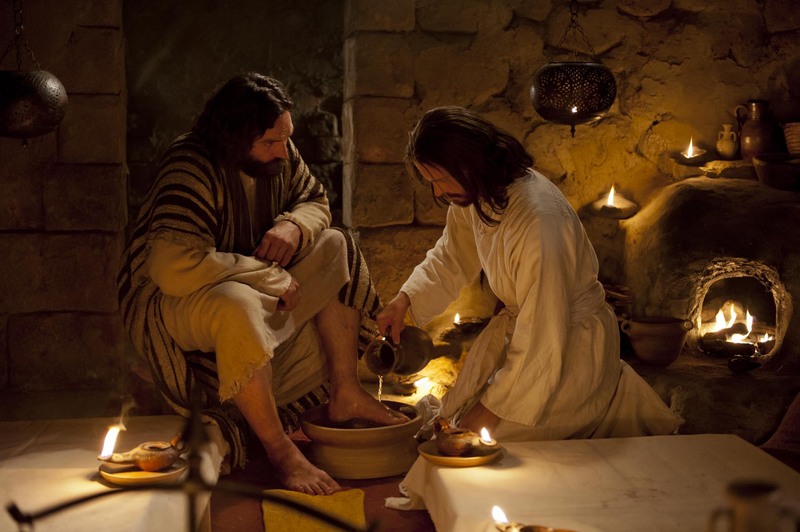 Did you know Jesus made three different entries into Jerusalem, and each time he cleansed the Temple? He did, and I hope to catalogue the circumstances, comparing Scripture with Scripture to show there were, indeed, three and not just one, so called, Triumphant Entry. Moreover, I will try to compare the possibilities of a Friday crucifixion, a Thursday crucifixion (believed by some) and a Wednesday crucifixion. I believe the only scenario that fits all the indications of Scripture is the Wednesday crucifixion. The question is, can I present this in a believable manner or am I trying to force the Scriptures to mean what I desire them to say in order to support my study on the Seventy Weeks Prophecy? Well, why don’t you check out what I say below and test for yourself what I’ve claimed. Comments and questions are welcome. How About a Thursday Crucifixion? Jesus Was Crucified on Wednesday!